So what is the best method of keeping one’s uniform neat and clean in between washings and wearings? At our very first Hagsaeng Naebu meeting, Master Pearson assigned each of us cubbies in which to store our belongings. This would include our special uniforms which were only to be worn during meetings and therefore stored there in between. So at the end of that first meeting, we learned the following traditional method of folding and wrapping and traditional uniform. *Note – this will not work for every type of uniform. If, for example, you practice Kyudo, Iaido, Kendo, Aikido or some other art where Hakama are worn, this will not do for your uniform. There are many methods of folding Hakama and it varies from art to art…some are quite intricate and beautiful. 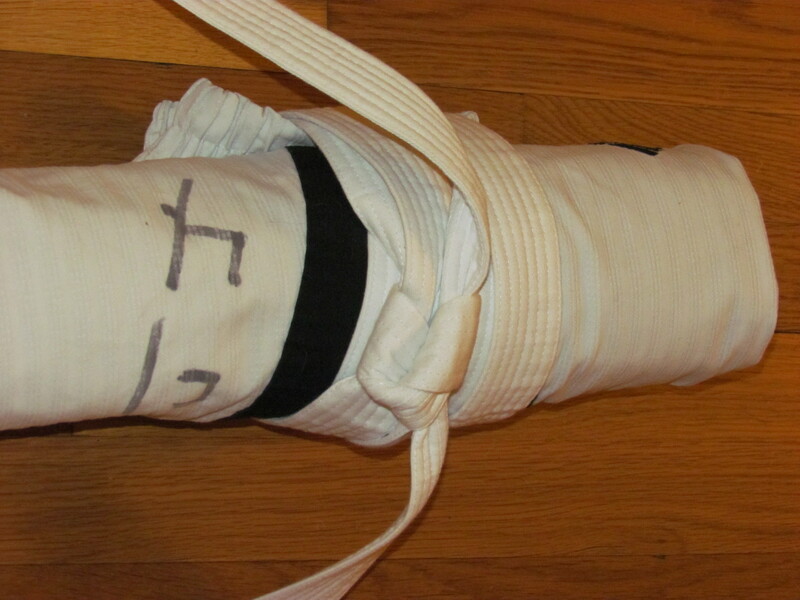 But please, do not attempt the method with your hakama! But if your art uses a standard (or mostly standard) style uniform, and you want to pack up efficiently and neatly after class, you can try this method below. 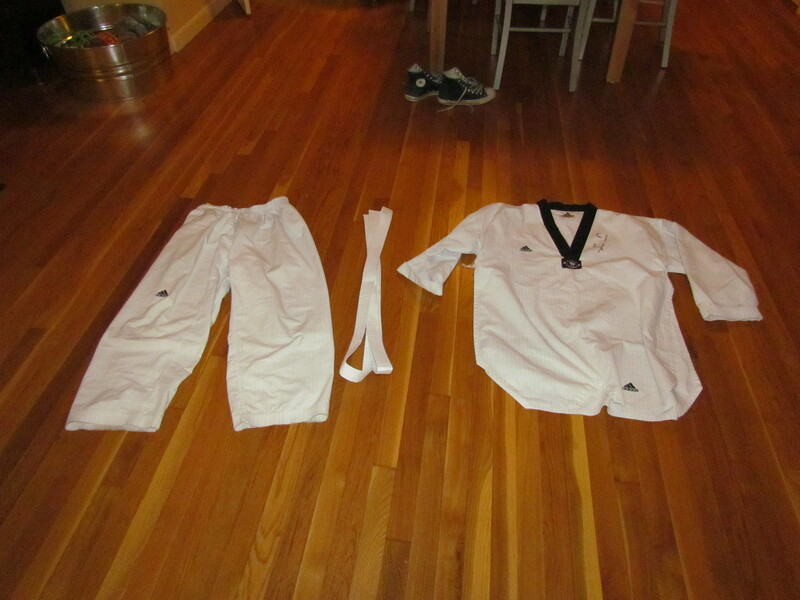 Step One: Lay your uniform out on a clean surface. Make sure you have your pants, top, and belt. Step Two: Begin with your top. Turn it over so that the front side is lying on the ground. 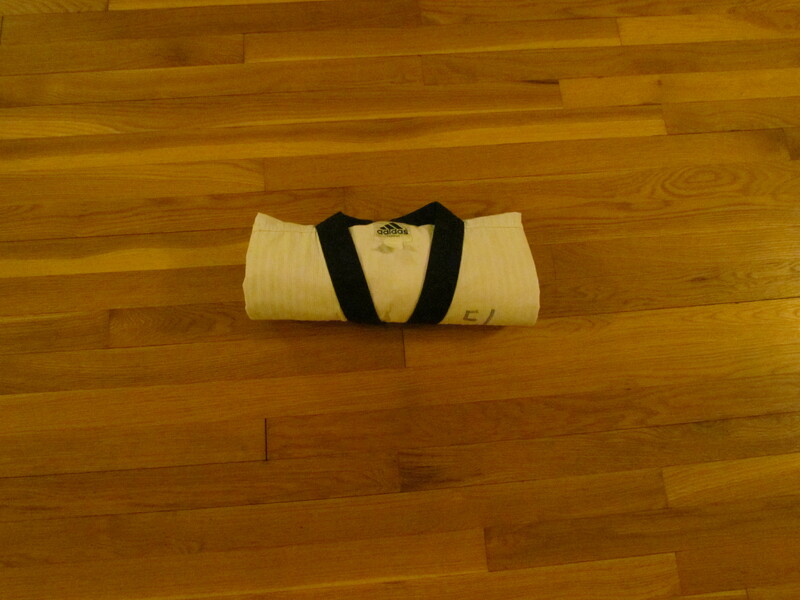 Fold in each half so that the two sides meet on the uniform’s center line. Then fold back the arms until the cuff of the sleeve is flush with the edge. 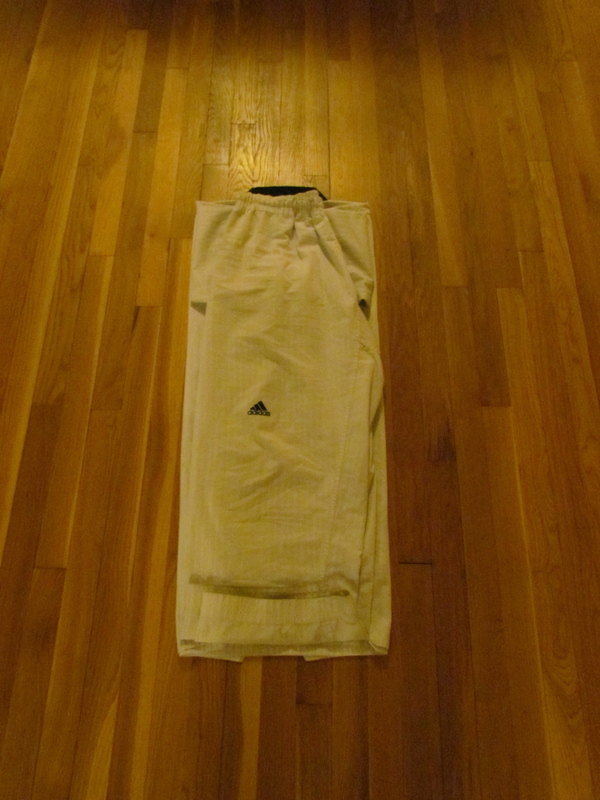 Step Three: Pick up your pants. Fold them in half, making sure the crotch of the pants is not sticking out. 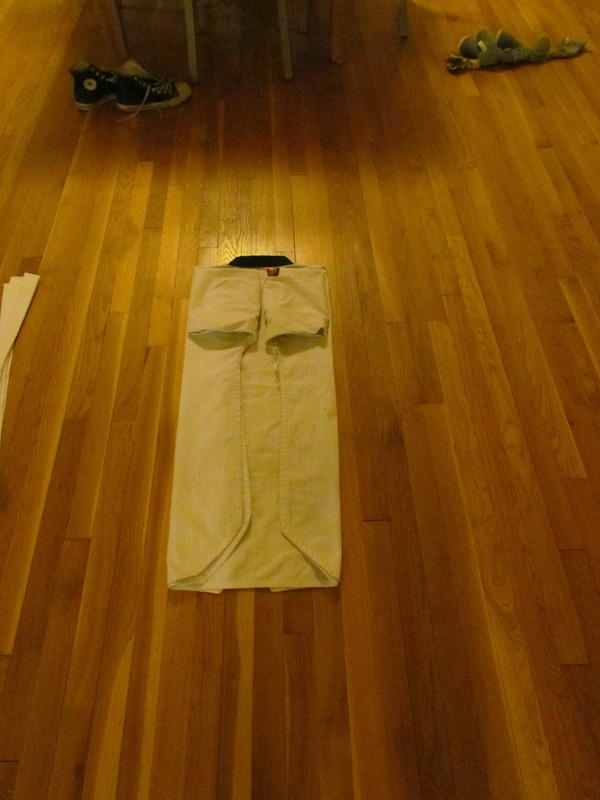 Lay the pants over the folded top so that the waistband is nearest the collar. 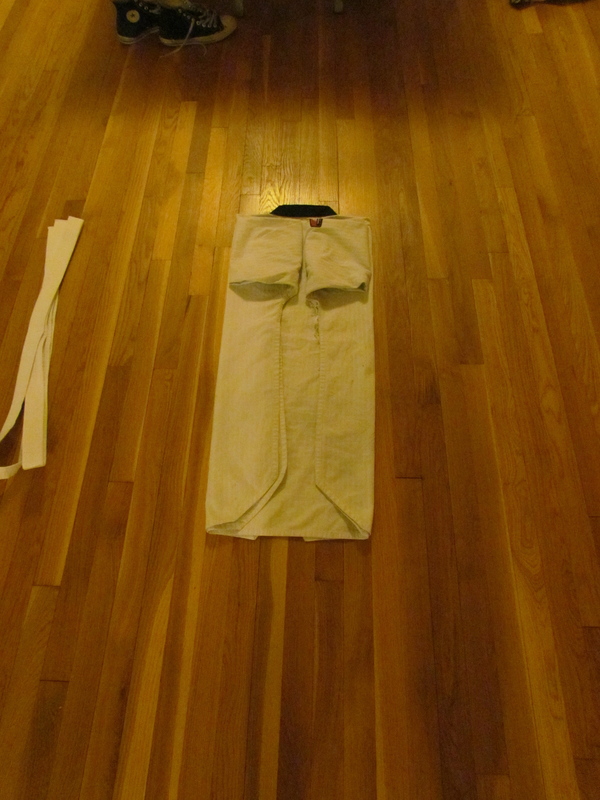 Fold the pant cuffs back in towards the waistband until they are flush with the bottom edge of your top. 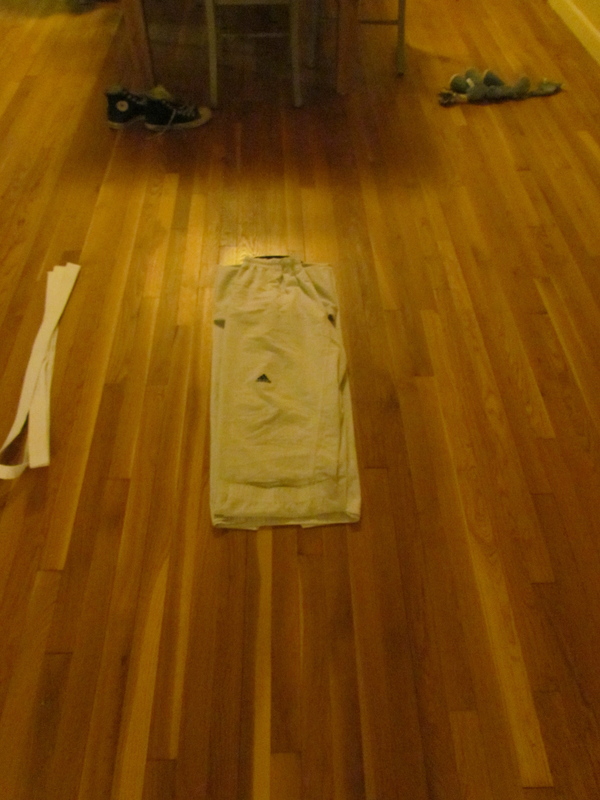 Step Four: Beginning at the bottom of your uniform, carefully roll the top and pants together (like a sleeping bag) towards the collar. Be sure to keep all the fabric tight and smooth. Step Four Continued: Keep rolling until you reach the top, then turn the entire package right-side up. 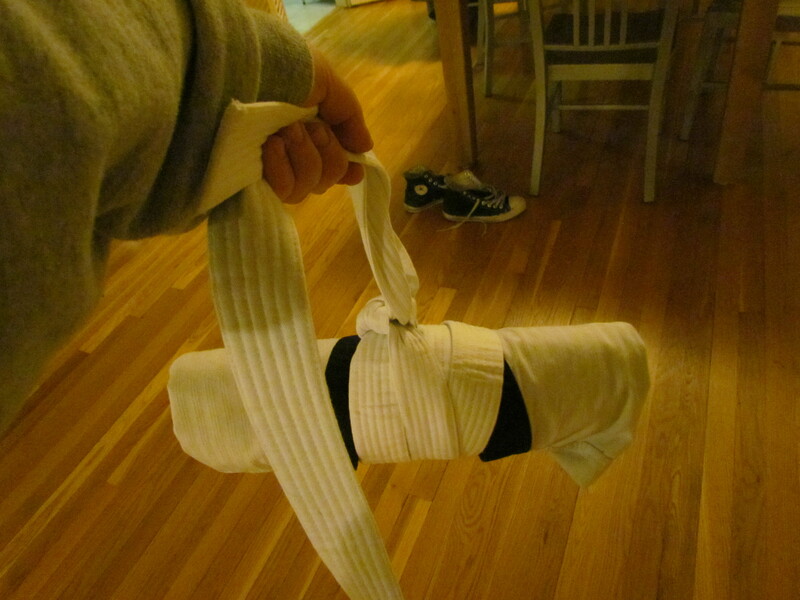 Step Five: Now you will use your belt to keep everything together nice and neat! Wrap your belt around the rolled up uniform. Don’t allow the wraps to overlap too much. 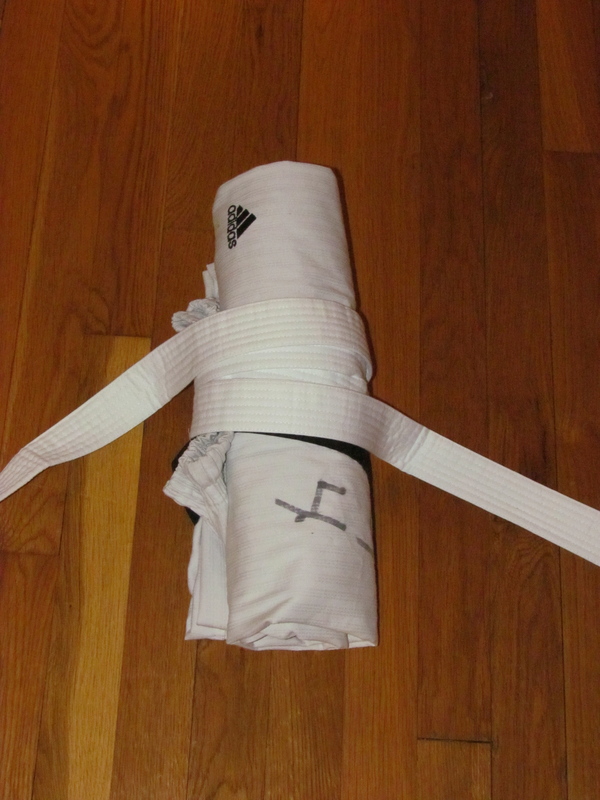 Step Six: Tie the belt around your uniform as you would if it were on your waist (make sure you do so on the front side and not the back side of the rolled up uniform). 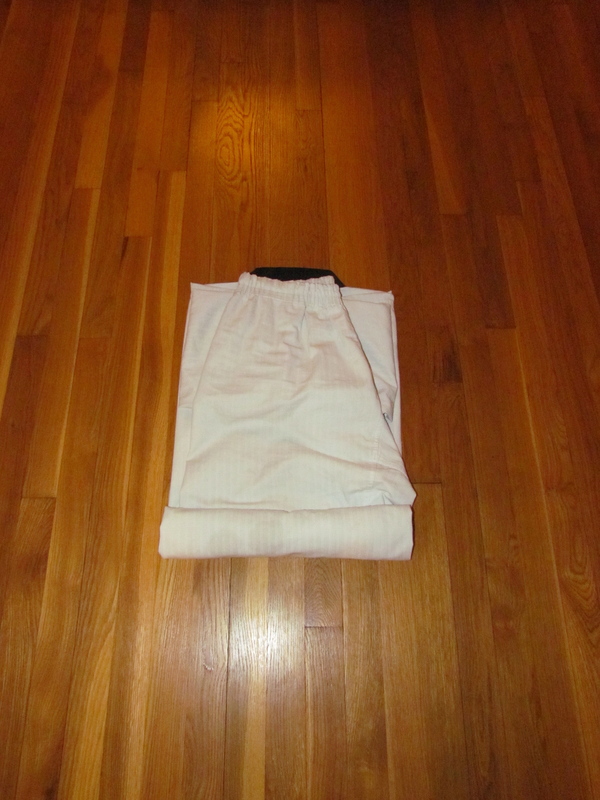 Step Seven: Now your uniform is ready to travel or store! It won’t get wrinkled or dirty with this tried and true method. Have fun and remember…a clean uniform is a happy instructor!